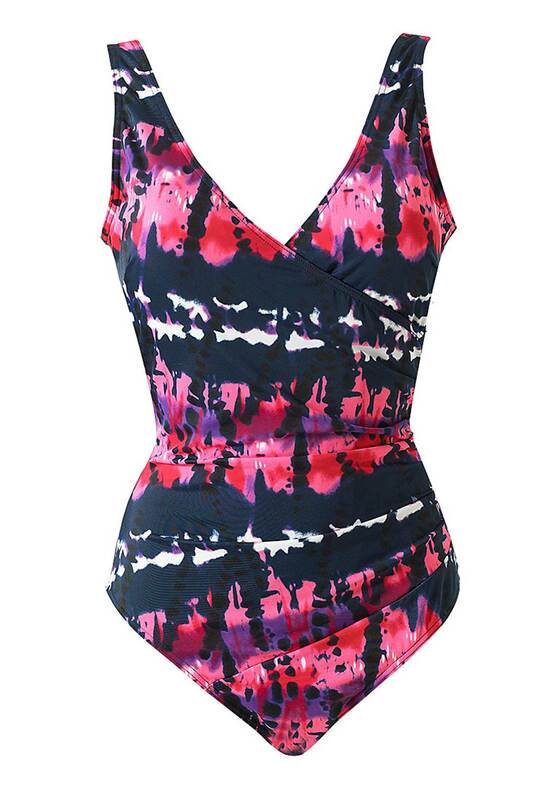 Beachcomber present this striking swimsuit which would be the perfect choice for lazy days relaxing at the beach or beside the pool. Made from super stretch fabric with an eye-catching tie dye print throughout. Designed with a wrap over bodice which creates a V-shaped neckline and flattering ruching at the sides.